If you're a Phoenix time-traveler, like I am, you notice the big trees. Even Eucalyptus trees, which tend to grow pretty fast, rarely get a chance to get really, really big in Phoenix. There always seems to be some excuse, making another lane for traffic, etc. And so for over twenty years I've been keeping my eyes on the historic Eucalyptus trees that are along the Arizona Canal on Northern just east of 7th Street. These trees were planted in the 1920s as a wind break for the El Domingo Ranch citrus groves. That means that they're approaching 100 years old nowadays. 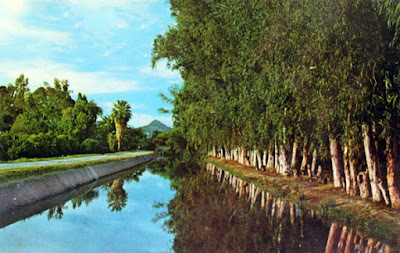 I collect old photos of Phoenix and I see that the canals used to be lined with a LOT of trees. And I'm not talking about photos from territorial times, I'm talking up until the last couple of generations. And mostly the trees are gone. But the trees are still there along the canal at Northern and 7th Street. They are big, and magnificent. And no, I have no idea why they haven't been cut down, because I know that they cost money to maintain, and that they require water. But I'm glad that they're there. Eucalyptus trees along the Arizona Canal in the 1970s. 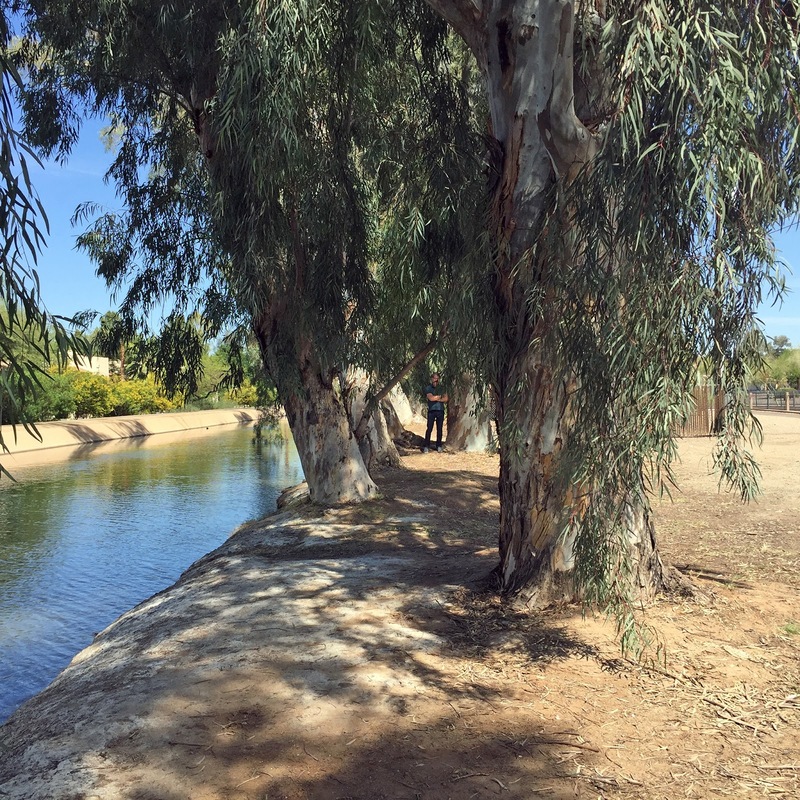 SRP decided to keep and maintain this stand of eucalyptus to show what the canals and agricultural areas used to look like pre-1950s.